Looking for a Used XC70 in your area? 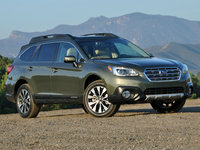 CarGurus has 784 nationwide XC70 listings starting at $1,495. Those for whom a full-size sport ute, or even a crossover ute, may be just a little too much ought to take a look at the 2015 Volvo XC70 wagon. A mild cosmetic and feature refresh for this posh 5-passenger midsize wagon in 2014 is complemented in 2015 by a brand new turbocharged Drive-E powerplant along with a new 8-speed automatic transmission. This debuting base engine outpowers the normally aspirated 3.2-liter inline 6-cylinder (I6) as well as offering significantly better fuel economy. With the debuting powertrain, now offered in all 2015 Volvos except the C90, comes a new base trim designation, the T5 Drive-E which, alas, comes only in front-wheel-drive (FWD) configuration. The midlevel 3.2 AWD trim, however, returns with the traditional non-turbocharged I6, while the turbocharged T6 AWD remains the flagship trim. Each of the latter trims, obviously, packs standard full-time all-wheel drive (AWD) for a little added confidence during those snow-shrouded commutes. Up against such rivals as the Audi Allroad or the Subaru Outback, the XC70 lineup offers a little more passenger room, some added cargo area (72.1 cubic feet with the rear seats folded) and, with the introduction of the Drive-E powertrain, at least comparable fuel economy. Bear in mind, however, that the Audi flaunts a classier profile than the XC70, while the Outback is more backwoods capable. Anyhow, the new-for-2015 turbocharged 2.0-liter inline 4-cylinder (I4) Drive-E engine mates with an 8-speed shiftable automatic transmission, allowing the T5 Drive-E to put down 240 hp and 258 lb-ft of torque. Gas mileage is improved to a healthy 24 mpg city/31 highway, while Swedish-bred/Chinese-owned Volvo claims this competent wagon will tow up to 3,500 pounds when properly equipped. As mentioned, the 3.2 AWD trim returns packing the traditional 3.2-liter normally aspirated I6 engine, along with its tried-and-true 6-speed shiftable automatic. Look once again for 240 hp and 236 lb-ft of torque from this so-so straight-6, with AWD-tempered mileage running 18/26. But towing capacity remains 3,500 pounds, according to the folks at Volvo. The top-of-the-line T6 AWD, meantime, returns with a peppy 3.0-liter turbocharged I6 powerplant, accompanied by the ubiquitous 6-speed shiftable automatic transmission. The standard version of this blown 6-banger throws out 300 hp and 325 lb-ft of torque, with an available Polestar Performance upgrade tweaking an extra 25 hp and an added 29 lb-ft of torque out of that same powertrain. Mileage with the standard turbo I6 remains 17/24 and towing once again maxes out at 3,500 pounds. Though Volvo’s XC70 is often considered an also-ran among high-end wagons, the 2015 edition nevertheless boasts some eye-catching standard appearance bling, not to mention a slew of interior features that’ll promote pampering of all but the most demanding of passengers. For example, the T5 Drive-E and the 3.2 AWD each sport 17-inch alloy wheels, a roof rack and heated power-adjustable mirrors outside, with cloth upholstery, a power-adjustable driver’s seat with 3-way memory settings and full power accessories adorning the inside. Cruise control is standard throughout the 2015 XC70 lineup, as are telescoping tilt-wheel steering, leather and alloy cabin inserts, Bluetooth hands-free communications and dual-zone climate control. Additionally, all XC70 iterations boast a 200-watt audio system with a single-CD player, 8 speakers, satellite radio and auxiliary iPod integration, all interfaced and accessed via a 7-inch dashboard display. The top-shelf T6 AWD, meanwhile, flaunts the standard Premier Package with 18-inch alloy wheels, leather upholstery, a power moonroof, auto-dimming rear-view mirror and a power-adjustable front passenger seat. The Premier Package remains optional in the lower trims, while all trims can be delivered with the available Premier Plus Package featuring all the Premier stuff and adding in a fold-flat front passenger seat, adaptive TFT display, power liftgate, remote garage door opener and front and rear parking sensors, not to mention a rear-view camera. The Platinum Package, also available to all XC70 trims, throws in navigation and a 12-speaker audio system with DVD capability, while the Climate Package adds heated front and rear seats and a heated steering wheel, as well as an interior air quality system. Once the bellwether for automotive safety innovation, Volvo is now matched or surpassed in that regard by many of its rivals. Nevertheless, the 2015 XC70 returns with standard antilock brakes (ABS), traction and stability control, front and rear head airbags, front head restraint whiplash protection and front side-mounted airbags. Of course, LED daytime running lights also remain standard, as do turn-signal-integrated mirrors and a remote antitheft alarm. The optional Technology Package, meantime, throws adaptive cruise control, pre-collision braking, lane-departure warnings, pedestrian detection and active high beams into the mix. What's your take on the 2015 Volvo XC70? XC70LCLX Had my 2015 XC70 T6 AWD for 3 months now, put 3000 miles, local driving, two long distance trips. Incredible car overall, it just conveys the message of COMFORT, SOLIDITY, PERFORMANCE and sensory satisfaction. 1) the door feels heavy and shuts heavy, love it 2) the seats has very nice density and resilience, also nice support and size 3) the audio system and feeling of immersion is second to none, better than BMW 14 speakers or Benz or JBL or Mark Levinson, it's ALL ABOUT ENCLOSURE AND IMMERSION, not about power or number of speakers. The bass feels it's in your heart from any seat, rich, warm, deep, highs are clear. Most other cars get the feeling of sound coming out of the door or dash, with Volvo, you can't tell where the sound comes from. 4) the wagon weights over 4000lb, feels heavy, like a tank, medium weight steering adds to it 5) acceleration and high speed handling amazing, superb road trip car. 6) two main downside, gas guzzler town driving, but amazing range at high way, very interesting, the range can be from 250 to empty, or 500 to empty! Body roll, but can be getting used to. 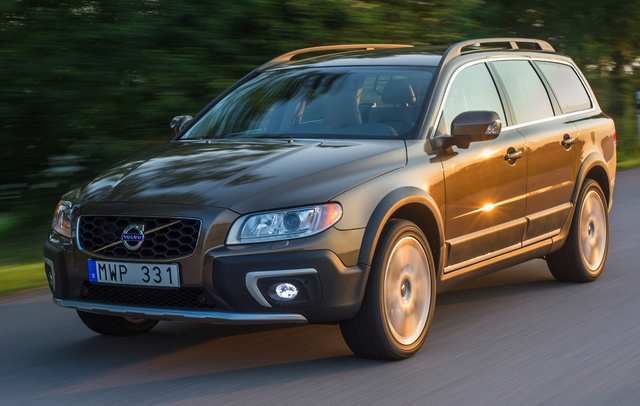 Users ranked 2015 Volvo XC70 against other cars which they drove/owned. Each ranking was based on 9 categories. Here is the summary of top rankings. 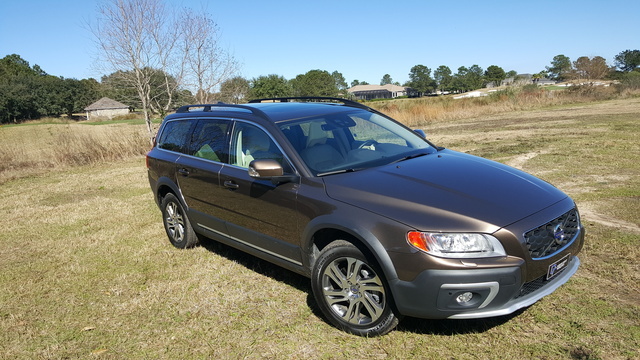 Have you driven a 2015 Volvo XC70? Am Getting A Message On Dash Of 2015 Xc70 Wagon: "low Battery Charging"
Was standing with door of car open, chatting with neighbor, car not running. Got a message on the dash "low battery charging" - anyone know what that indicates?